Join us for the final Indigo Lion Pause of the season for writing, conversation, sharing, and shop handmade! 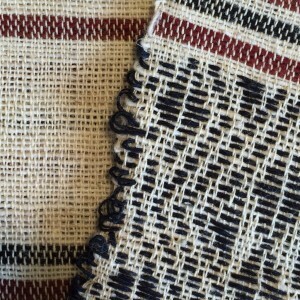 We’ll be focusing on gorgeous rough-spun silk accessories from Cambodia. What happens when you hold handmade craft in your hands? What will it inspire you to write? 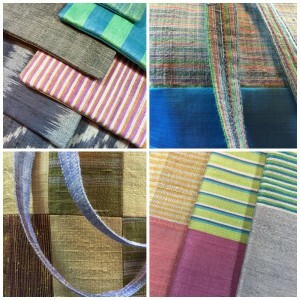 Lao and Myanmar textile accessories and home accents will also be available. Sign up here See photos from earlier Indigo Lion Pause sessions here. What happens when you hold handmade craft in your hands? What will it inspire you to write? Join Studio Pause member Mary Louise Marino as she introduces us to her social enterprise Indigo Lion Global Handmade where we explore how we can connect with people and art from far away places. 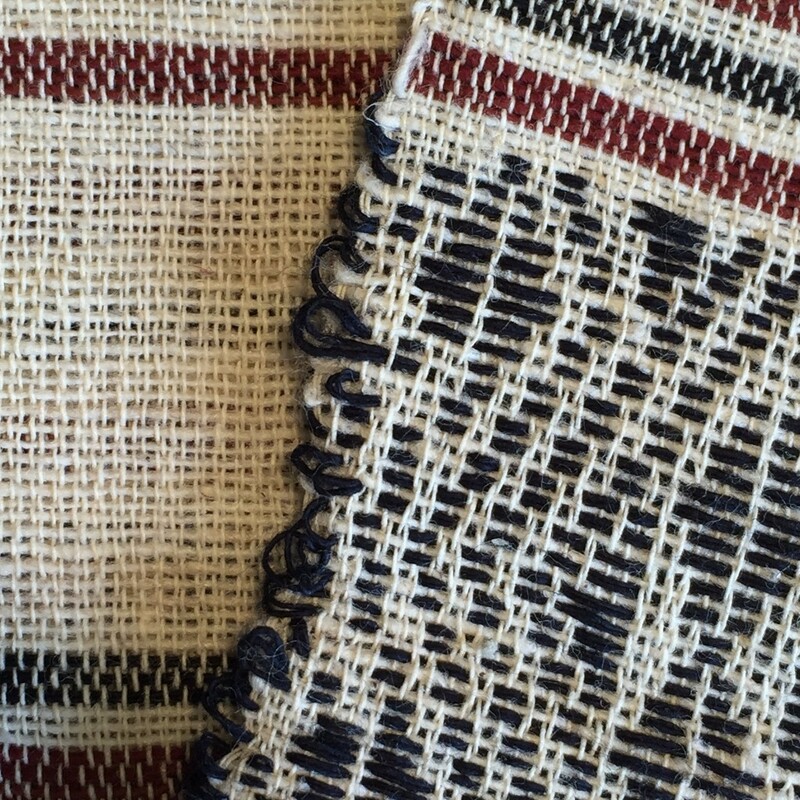 This month, Pause for writing and conversation focusing on Chin Textiles from Myanmar. More here. My earliest memory of art was when I was in preschool, some 16 years ago or so, in Bolivia. In it, I had just finished coloring a ladybug completely inside-the-lines for the first time. I remember being so thrilled I practically jumped down the steps to proudly show my mother when she arrived to take me home. As I grew I developed my skill, something that came rather naturally because art was my favorite thing to do when given the slightest chance, but I didn’t have a clue about where I wanted to go with my art nor what I even wanted it to be. All of my future career plans were of things other than visual arts, till the end of High School Junior year. The beginning of that year I entered an IB art class and chose the theme of Social Justice to carry my work and my perceptions of my value has never been the same. Art began to be both terrifying and therapeutic as I began learning about progressively horrible aspects of life and expressed my reactions through my work. It was a completely different compulsion to create, not just from enjoyment, boredom, or simply being able to but a sensation similar to screaming bubbling up from my wrists to my fingertips. I wasn’t exploring the world nor materials anymore, I was exploring myself. Exploring my experiences, sketching MY stories, and painting the pain of others. I began to understand the incredible power artists have to create voices and I began to realize how much voices get taken away. My name is Natalia Rodas-Calderon. I am a transfer Junior at George Mason University pursuing my BFA with a concentration in Drawing and an Accelerated Master’s Degree for Arts Education. I’m aspiring to teach Visual Arts to High Schoolers and convicted people. Please join me in celebrating my birthday with my artworks. 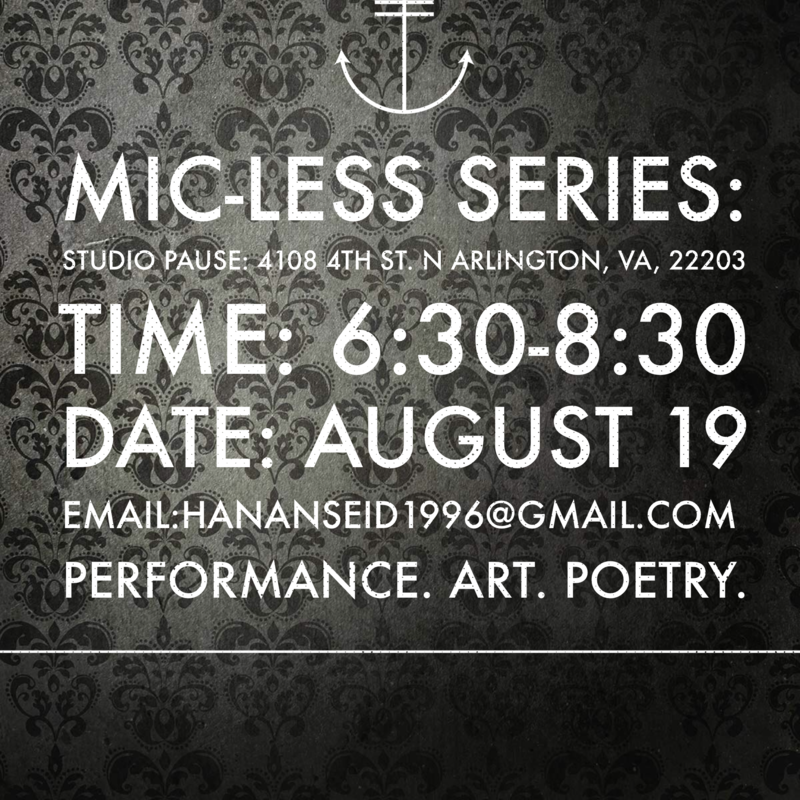 Mic-Less Night Series Join us for Studio member Hanan Seid’s Mic-Less Night, a monthly feature at Studio Pause where drop-in guests share poetry, art, and more. More here. See pics from our Oct Mic-Less Night here. Bring the family to the PWCS Children’s Book Festival where authors and illustrators will talk about their experiences in reading and writing stories for children. Learn why it is never too early to read to your child, and it is never too late to get started. A wealth of resources will put you and your child on the path toward building and maintaining enthusiasm for learning and reading. Bookmaking with Sushmita will be at 8 pm so learn how to make books so you can always have a place to put your story in and share. Free and open to the public. Details here. Join us as we celebrate Hispanic Heritage Month with live music, authentic Latino food, artistic presentations, games for kids and much more! 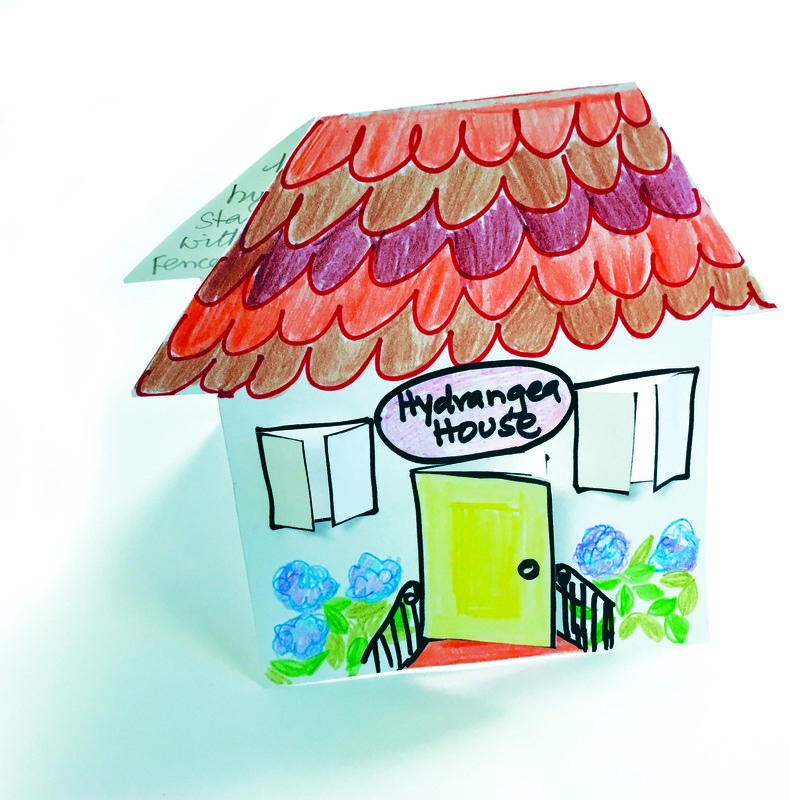 2-5 p.m: City of Stories, Arlington, with Sushmita Add your story and art to the City of Stories, a bookmaking and story-sharing workshop with Arlington artist Sushmita Mazumdar. Make your book, write your story of Arlington in it, and take it home while she keeps a copy for others to enjoy as she assembles storybooks into a display, into a City of Stories. 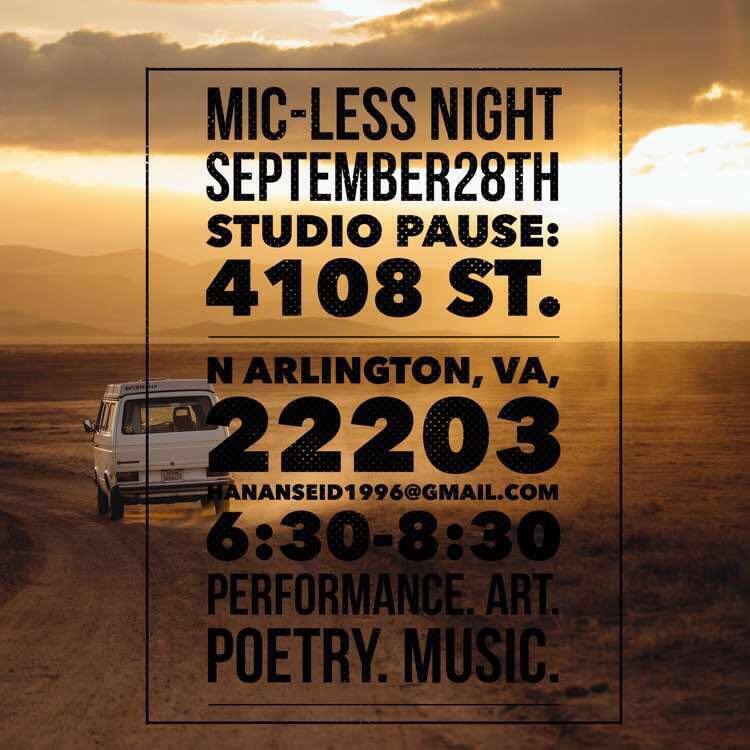 Wed., Oct 12, 7-8::30 pm, Studio Pause Ballston. What happens when you hold handmade craft in your hands? What will it inspire you to write? 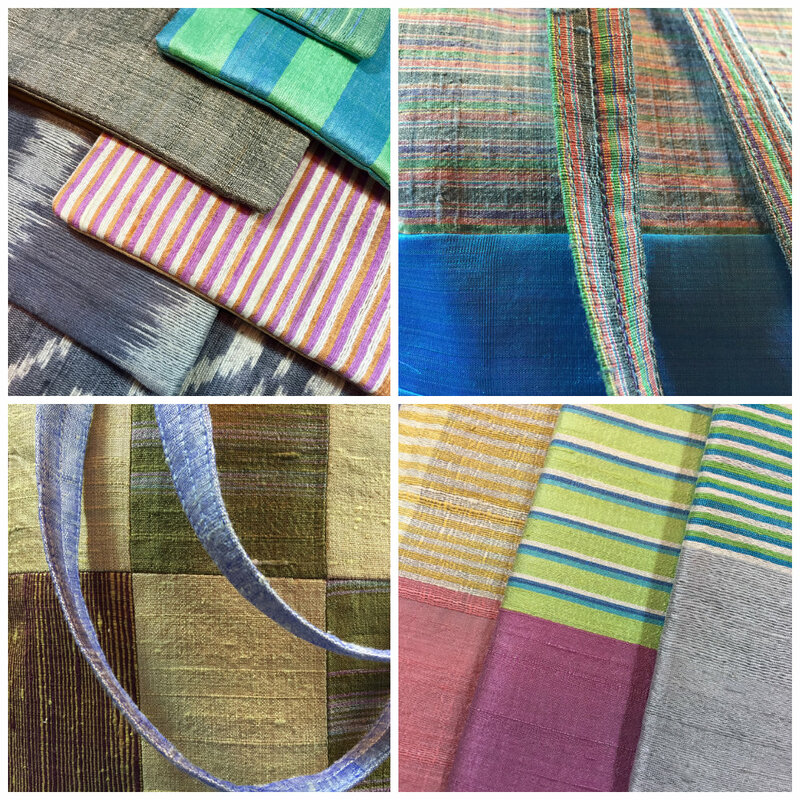 Studio Pause is thrilled to invite you to Pause for writing and conversation with Studio Pause member Mary Louise Marino under of social enterprise Hear about her travels into far-flung reaches of Laos, Cambodia, and Myanmar, and interact with textiles she brings from artisans there. Join us for one or all sessions with the opportunity to feature your writing in a limited-edition book Mary will produce in jan 2017. Details here. 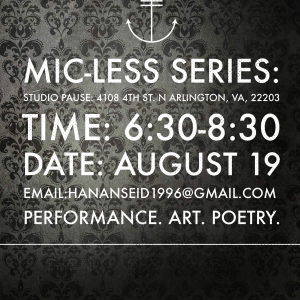 Join us for Studio member Hanan Seid’s Mic-Less Night, a monthly feature at Studio Pause where drop-in guests share poetry, art, and more. See pics from our Sept Mic-Less Night here. Left: Photo of Rosa Calzadilla who shared her favorite Spanish poems with us. 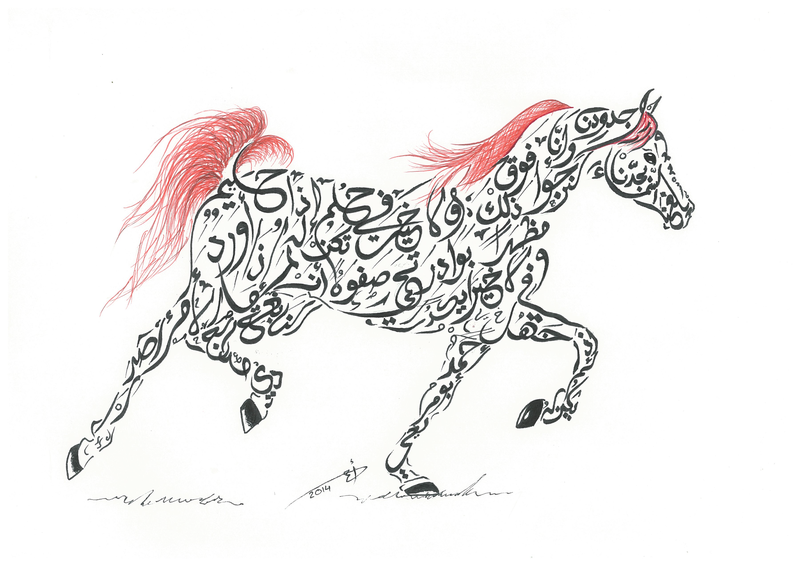 Ahmad is an aspiring artist and a calligrapher. He was born in Jordan and raised with a true passion for drawing and painting. 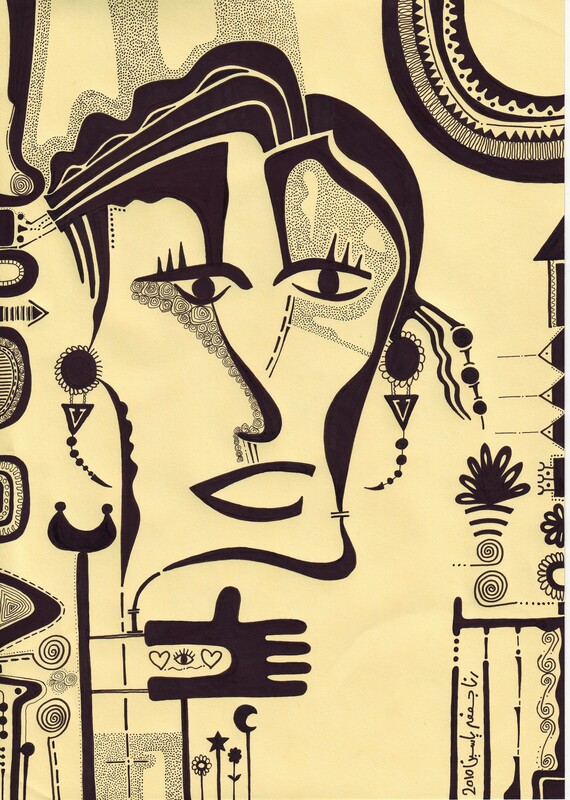 His father walked him through the basics of sketching and critiqued his artwork as it matured. After moving to the United States for his education, Ahmad developed love and admiration for both Eastern and Western cultures. His work reflects this cultural intersection. 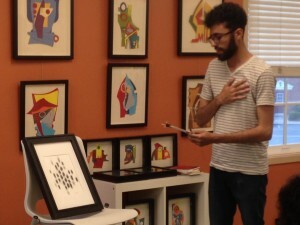 Ahmad hopes to integrate his interests in art and architecture with his deep belief in mankind to forge a career in humanitarian architecture. 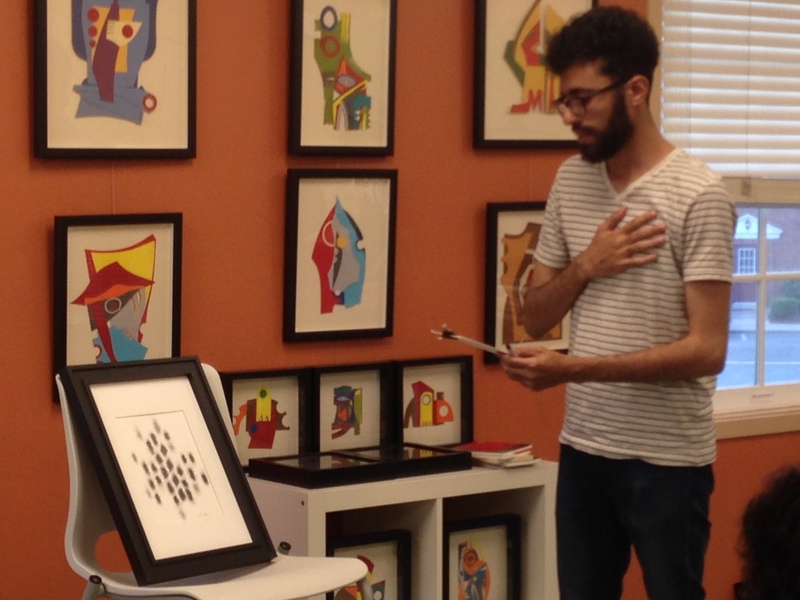 His artwork stretches across borders, unimpeded by boundaries, whether it brightens the hallways of the French embassy in Kuwait, warms the home of a loving family, or frames the path to excellence for youth at a local community center. For the past 40 years, Arlington, Virginia, has been a gateway community for thousands of immigrants and refugees. People from some 120 countries have settled here, creating a multicultural legacy that has changed what it means to be an Arlingtonian. 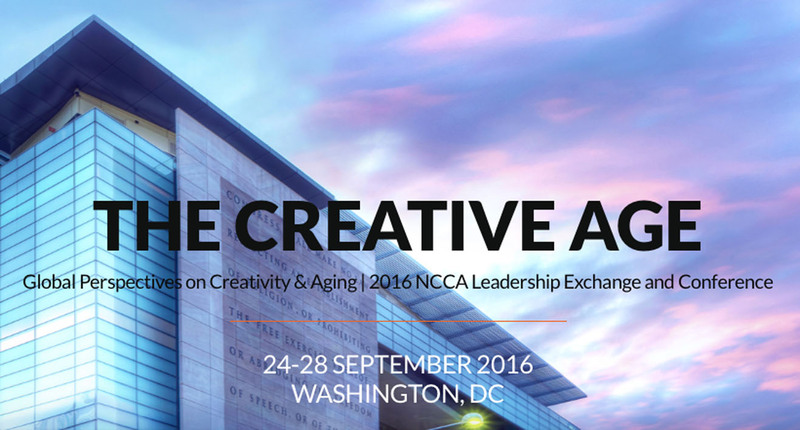 You are invited to attend a multifaceted program combining performing and visual arts, history, and public dialogue. This event will place a special focus on the immigrant experience and milestones of the past 40 years. We Are All Arlington! seeks to understand and appreciate the diverse narratives that connect our past to the present and to our common future. SynPhNe and Studio Pause are proud to present at The Creative Age conference this fall. Our session will be How the Brain Changes Itself… and Changes You! where we will explore how people can experience lifelong joy, productivity, and community connections by maximizing their brain potential on a daily basis and learning how to access and “rewire” neural pathways through the arts and technology. This presentation is so inspired by artists and writers who have been part of the Studio Pause community so thank you to all of you for being with me and sharing your talents and ideas for the last 3 years! 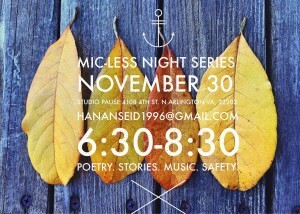 Studio member Hanan Seid’s Mic-Less Night is now a monthly feature at Studio Pause! Join us, this month on a Friday, and share your poetry, art, and more with us. See pics from our older Mic-Less Nights here. 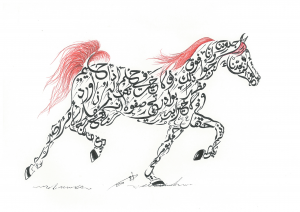 This month will be special as the artist whose work will be on exhibit at our show, Poetry in Motion: Arabic Calligraphy by Ahmad Abumraighi, first came to Studio Pause for one of the Mic-Less Nights! Ahmad shared his artwork and we were all blown away. 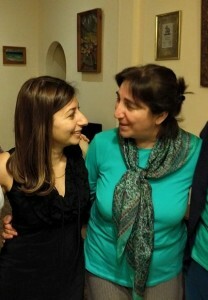 Above: Evgenia, left, with her friend Mariam. Community PAUSE, Sat. Aug 20, 1-3 pm. Studio PAUSE Ballston. My name is Evgenia Tairyan and I would like to share with you the work of my friend Mariam Ohanyan, an Armenian film director, producer, and scriptwriter. Mariam is the director of Armenia’s KIN (WOMAN) International Women’s Film Festival. The festival aims to promote women’s creativity in film; highlight issues of violence, inequality and discrimination; establish an international network for female filmmakers; and support the better understanding of different cultures’ approaches to gender. 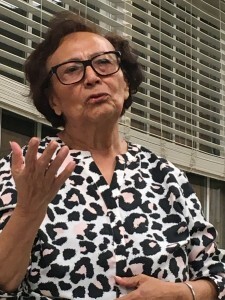 Mariam’s films have travelled to art and documentary film festivals in Armenia, Iran, Germany, Ukraine, USA, Russia, and Japan and won multiple awards. 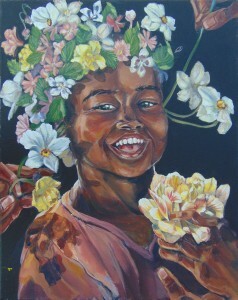 Reception, Wed. Aug 24, 6:30-8:30 pm. 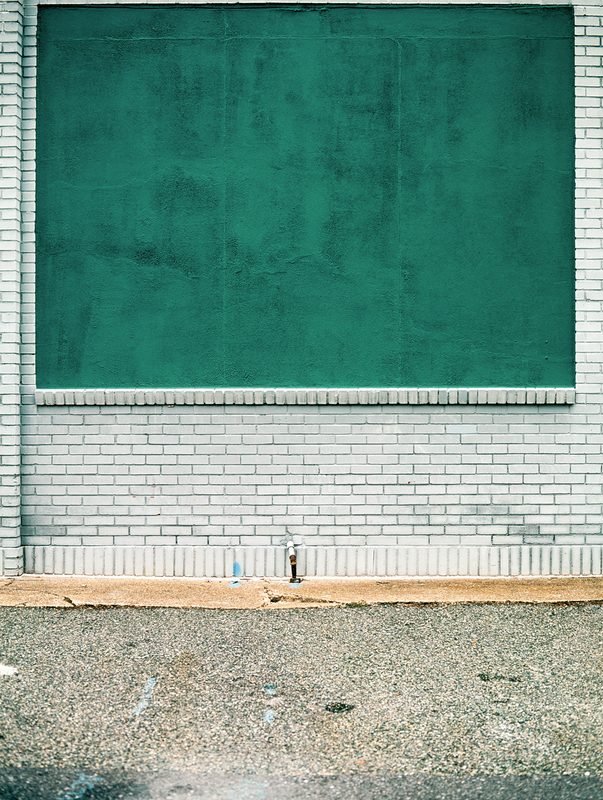 Studio PAUSE Ballston. Rosa Calzadilla grew up in El Salvador and was the first of her family to come to the US. She has dedicated her life to supporting her family both here and in El Salvador. Now, since she has retired, Rosa enjoys making art. She has studied Chinese painting for over ten years. She is very creative and also makes art with recycled and/or natural materials. 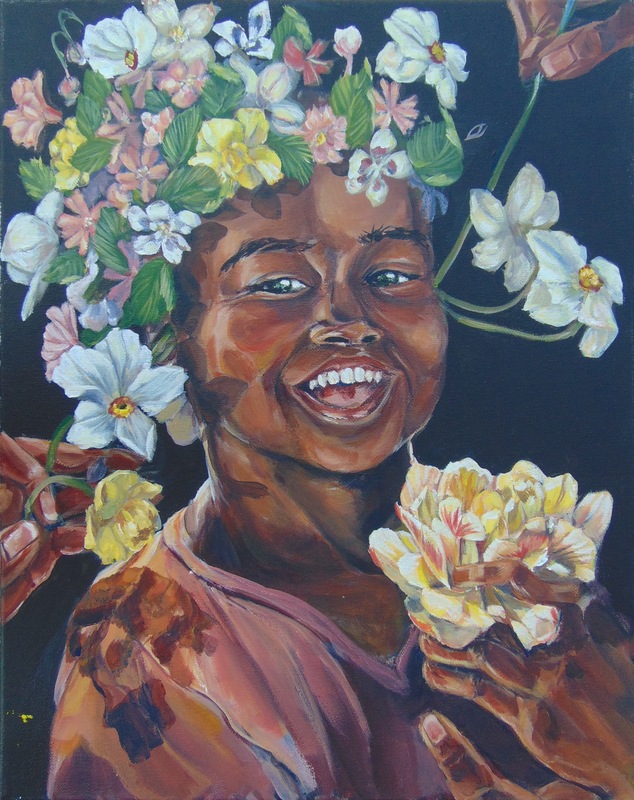 Rosa lives in the neighborhood near Studio Pause and we are happy to share her creativity around the time of the Buckingham Community Festival which takes place on Sunday, Aug 28 from 1-5 pm. 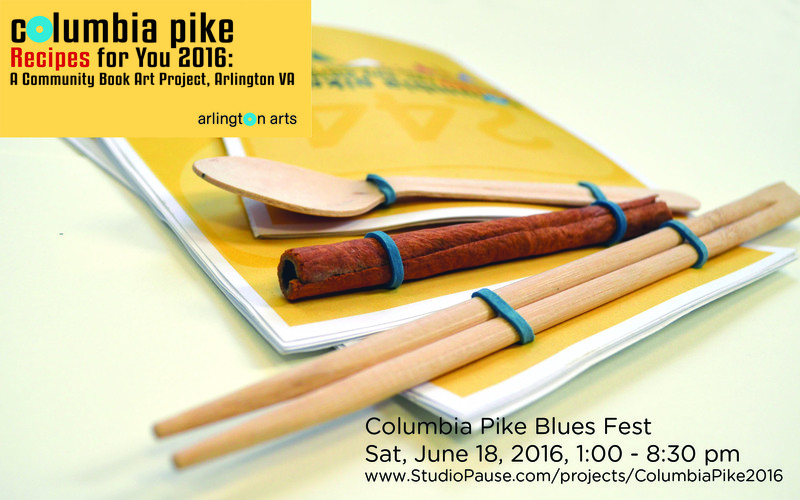 Come meet us there, meet some local artists too who are part of the Studio Pause community. Reception Sat July 9, 12-3 pm. The Positive Printers have two things in common—they all learned the craft and art of Black & White Photography at the Arlington Career Center during Adult Education Class. And they all think that the hands on printing techniques can produce richer and deeper tones than the digital techniques. 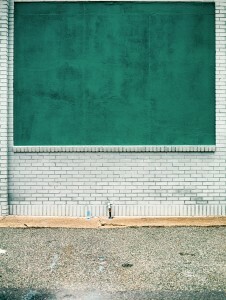 For this group show participants explored their own personal theme creating a series of related photographs. 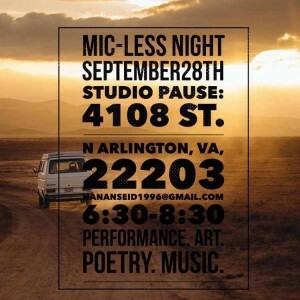 This is their second show at Studio PAUSE, and their first one at the Ballston location! Photo: New Orleans Cemetery, by Mark Pederson. Sat July 16, 1-4 pm, National Museum of African Art. 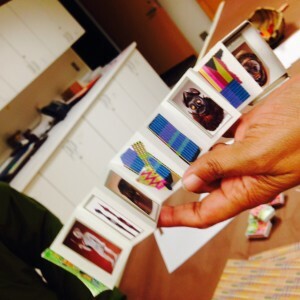 In her third workshop in conjunction with the National Museum of African Art’s exhibit Artists Books and Africa, join Sushmita in exploring how you can make your own artists book to tell the story of an object in the museum galleries. Check out photos from earlier workshops here. Studio member Hanan Seid’s Mic-Less Night is now a monthly feature at Studio Pause! Join us, and share your poetry, art, and more with us. See pics from our June Mic-Less Night here. 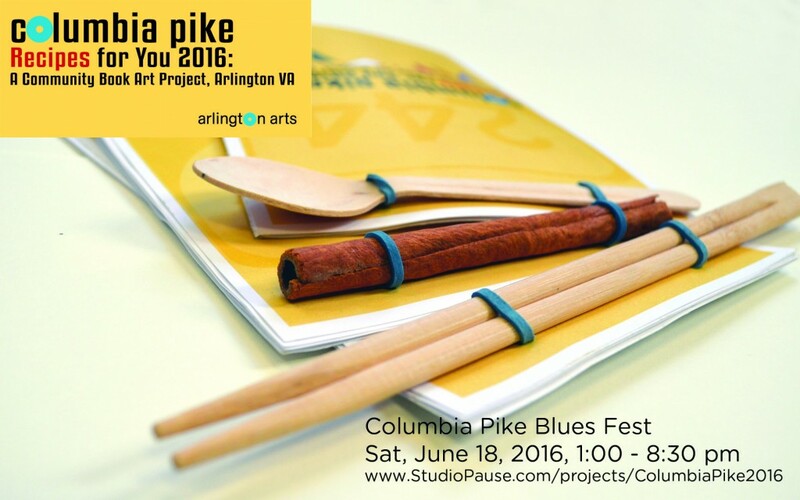 Visit the Art Island at the Columbia Pike Blues Fest and make your own Columbia Pike Recipe Book with Sushmita Mazumdar, who has collected recipes and the stories from 12 Pike restaurants recommended to her by family, friends, and Studio Pause visitors. With recipes from 10 countries and stories from even more, celebrate the diversity of the Pike by making your own unique recipe book to take home. Details here. Mic-Less Night & Ramadan Potluck After a super-successful experiment on May 31, we announce the Studio PAUSE open mic! Except, there is no mic as host Hanan Seid believes mics are intimidating and keep people away. So join us and bring in your art, poetry, songs, quotes, and essays to share. And bring in some food to share as well. We will eat after 8:30 when the host and her guests, who are observing Ramadan, break their fast. See pics from our first Mic-Less Night here. Celebrate Asian Heritage by Sharing Your Stories Join Arlington artist and writer Sushmita Mazumdar in her Book Art project FREEING! for which she is collecting stories of language access from the public, to turn them into art for all to experience. 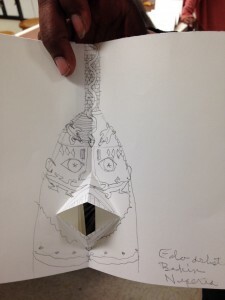 Share your stories and explore making them into artworks using simple materials. All stories and artwork will be displayed at Columbia Pike Branch Library in a reception on June 4, 2016 at 1 p.m. Read more about the project at www.StudioPause.com/freeing/ and #freeingbysush. Rana Jaafar Yaseen is a self-motivated entrepreneur, originally from Iraq. She arrived in the United States in 2013 as an award-winning poet, artist, and well-known TV Host. Since then, her life’s journey turned to a different path: self-discovery and leadership. She’s incorporated her past tragic experiences and success in the Middle East, her creativity which she considers a way of healing, and her new education in the space of self-motivating and empowerment to launch “Change Maker, Peace Builder Initiative” to provide refugee, immigrant, and survivor empowerment and leadership development on the path towards healing and better integration in the United States. Her life was full with challenges since her mother died in Iraq in 2001. 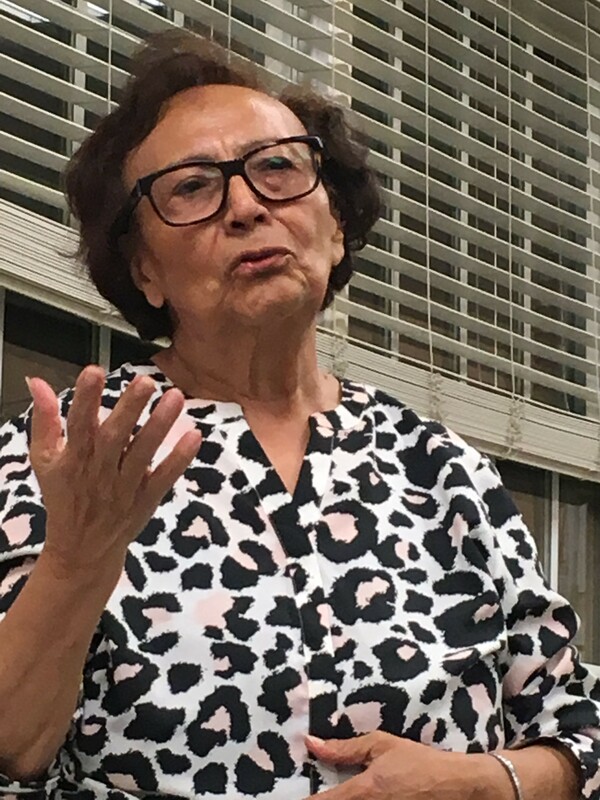 She had experienced domestic violence, dropping her architecture studies, violent political turmoil in Iraq after 2003, kidnapping by Saddam’s Men of Sacrifice in Baghdad, and blackmail. Additionally, throughout this journey she’s taken care of her elderly disabled aunt, who now lives safely with her in the United States. These challenges and successes make her who she is today; she’s learned how to transform pain and fear into creative outcome as she believes that “creativity is healing” and her creative outcome includes: 7 published books, 150 pieces of artwork, 2000 pieces of handmade jewelry, and eight years’ experience as a TV Host. Her life’s journey encourages her to stand up again for her life here in the United States; she has mostly been self-taught in English through healing, self-discovery, and empowerment lectures and workshops. Now, she is passionate about self-growth and helping people reveal their potential to the fullest. To support refugees, immigrants, and survivors by filling the gap in services needed in the next step after resettlement for better integration through enabling them to achieve their fullest potentials, integrate effectively in the community, transform their past trauma, succeed for a better contribution, and become a voice of peace and justice. Family Afternoon: The Story of a Place Celebrate the opening of Small Stories: At Home in a Dollhouse with a book and story-making workshop. What would you write if your storybook looked like a house? Would it be a true story or fiction? Would it be 2D or 3D? 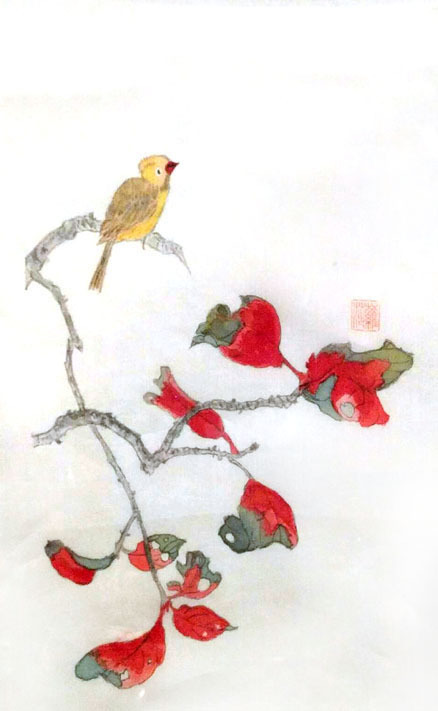 Meet Sushmita Mazumdar, a local contemporary artist featured in the exhibition, and see how she created a storybook that looks like a home from her family’s history. Explore the stories and houses in Small Stories then write your own story about a place important to you. 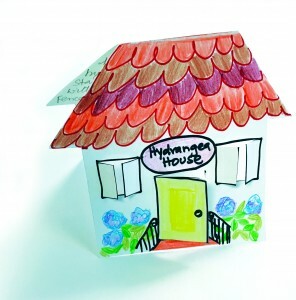 Finally, learn to make a unique-house shaped book where your story can live. 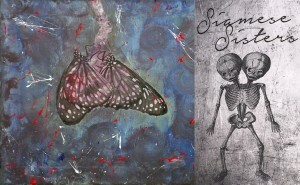 Siamese Sisters is a joining of two creative forces – sisters Courtney LeBlanc and Kirsten Birst. Since they were children they have insisted they were Siamese twins, despite being born two years apart. Courtney expresses herself through poetry and Kirsten expresses herself through art. They decided to embark on a joint project and Courtney began writing poetry and sending the poems to Kirsten, who then created artwork in response to them. As their project progressed, Kirsten was diagnosed with a hereditary kidney disease and this further colored their work. The result is an emotional roller coaster in words and on canvas. Courtney lives in Arlington with her husband, Jay, and their dog, Daisy. Kirsten lives in Minneapolis with her her husband, Jim. Writing PAUSE: Join us to write inspired by the art in the Studio. With a focus on poetry this month, to celebrate National Poetry Month of course! The second session of Art PAUSE: Collage with Yosief will be on March 5. The first session was a hit and you can see the photos here. $40/2 sessions. All supplies included. Email me to register. Max. 10 spots. Yuri Long, an enthusiastically lazy traveler, adventurous food and beverage consumer and voraciously curious individual, presents selections from two ongoing color photography projects. 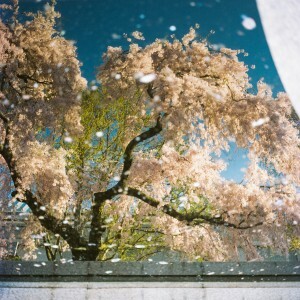 Rubescent Reverie: In a space between tourist snapshot and landscape photograph, the aim with these prints of Washington DC’s famous cherry trees in blossom is to communicate the ephemeral feeling experienced in the presence of transition from winter slumber to summer awakening. Block City Chroma Planes, is an exploration of transition, this time through found color compositions. Using the color choices made by strangers, often for non-aesthetic purposes, as a basis for creating formal compositions and exploring color as process through a series of interpretations for each image: from commercial paint applied to a surface, then lit by natural light, reflected through a camera lens, captured in a film emulsion, processed chemically and digitized through a scanner, manipulated in software, and finally manifest in an inkjet print of pigment on paper.Yuri lives in Washington, DC with his amazing wife, Nhu-Han and two adorable cats, Beanie and Totsie. 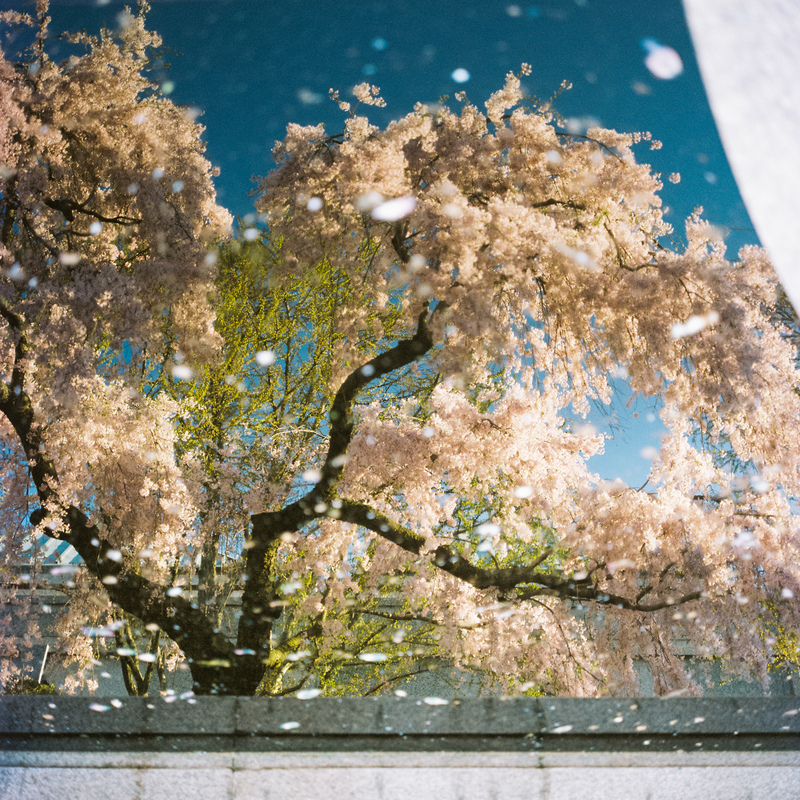 He is the rare book librarian at the National Gallery of Art and operates a portrait photography business in addition to his various projects under The Antiquated Modern banner. 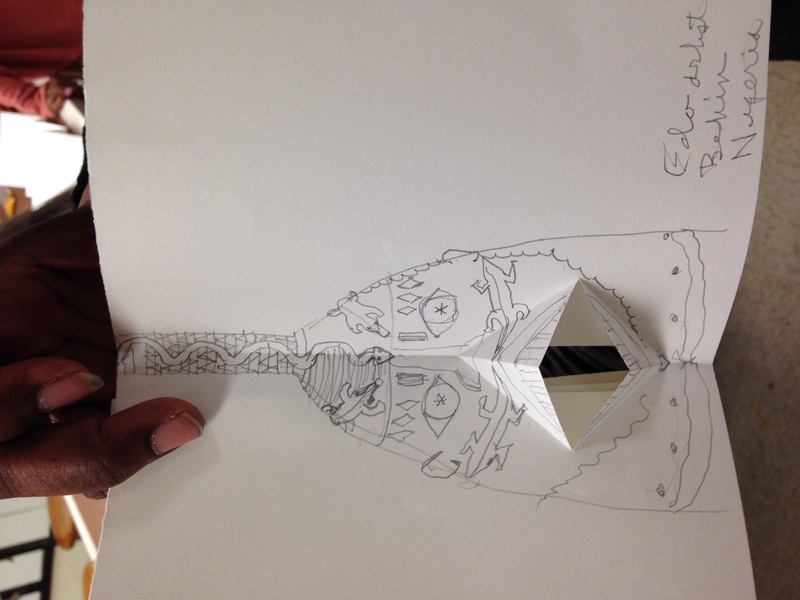 Join Sush in a family bookmaking workshop inspired by the book arts exhibit at the museum. Rescheduled after the snow cancelled the previously scheduled workshop, please sign-up again for this one here. Community PAUSE Call for Entries! CALL for ENTRIES: Facebook is a great place to see photos of friends from before I knew them. 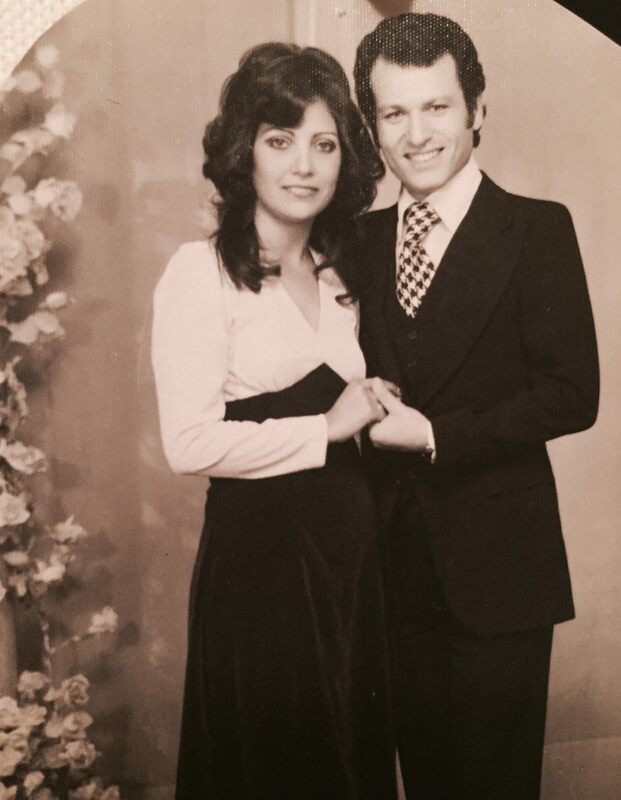 Recently I saw a photo of Aida (above), a photo from 1975, and she looks like a Bollywood star! Then there is a young Studio member who comes to the Studio and paints costumes she creates of her favorite video game characters. Another Studio member changes who she is depending on who she needs to bring JOY to. So come meet Aida, Jillian, and Rachel, at our February Community PAUSE. See photos of people’s pasts, hear stories of their presents, and get a glimpse of what else we can be if we choose to. An afternoon of stories of acceptance, surprises, possibilities, and inspiration! Join in! Send me a photo of YOU from before I knew you! 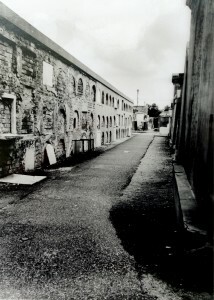 I will print them out and fill the Guest Wall at the studio with photos from the past! THE EVENT: At the Community PAUSE, you are invited to come see the show, share your stories and listen to stories the guests imagine from your images too—building community through our art and stories! And feel free to bring light refreshments to share. Tell a legend of love or write a Valentine’s story for a loved one. Children and their adult family members are invited to reserve a space for this popular program led by Sush at the Alexandria Black History Museum. To register and to learn more click here now! The snowstorm caused us to cancel the January Art PAUSE: Collage with Yosief. So our first session will be Feb 27 and the second will be March 12. $40/2 sessions. All supplies included. Email me to register. Get your PAUSE here. Max. 10 spots. Writing PAUSE: Inspiration is Everywhere! Meeting almost every Monday since we opened Writing PAUSE is a promise to make time to write—period. We write inspired by the art, books, and stories in the studio. 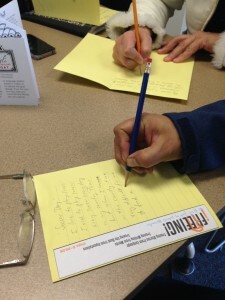 We write in small chunks, share, and get feedback. We write poems, essays, fantasy. Come join us! Mondays 1/11 and 1/25, 7-8:30 pm, Saturday 1/16 12-1:30 pm-Studio Pause Ballston. 1/18, 7-8:30 pm Studio Pause S. Glebe. Register here.